DO YOU WANT BECOME A PROFESSIONAL SOMMELIER? those involved in the most prestigious restaurant halls. breakthrough in society. All linked by an invisible conductor, a great passion: wine and everything that revolves around it and creates interest and enthusiasm, work and conviviality. The study program is divided into three levels and allows the participants to enter the fascinating world of wine. 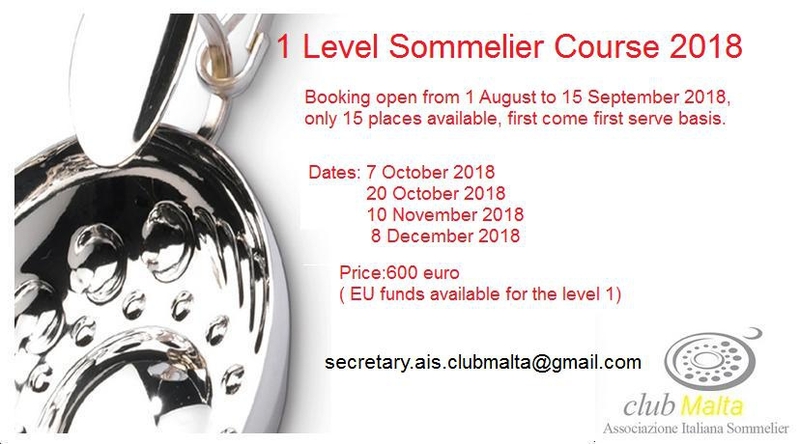 The 1st Level explores topics covering viticulture, winemaking, tasting technique and service, which are the basics for a professional Sommelier, starting from the correct temperature of wine service to the organization and management of the wine cellar. The 2nd Level explores Italian and foreign wine production with particular attention to the strong link with the territory. At this level the technique of wine tasting is further perfected, a crucial skill to be able to appreciate every sensory nuance and, in particular, to make an informed judgment on its quality. The 3rd Level addresses the technical tasting of food and, above all, the pairing of food and wine, through the use of graphic cards, and with practical tests of food tasting with wines of different types. European funds are available for employers wishing to invest in employees. An allocation of €8 million has been made available for a new initiative to promote training activities held between 19th April 2017 and 30th June 2020 . Investing in Skills falls under Malta’s Operational Programme II of the ESF - ‘Investing in human capital to create more opportunities and promote the well-being of society’ for the 2014-2020 programming period.